Pink Cactus Large Wooden Tray Shop the largest selection of Michel Design Works wooden trays and more - Pink Cactus Collection. Plus enjoy free shipping on all US orders over $50. 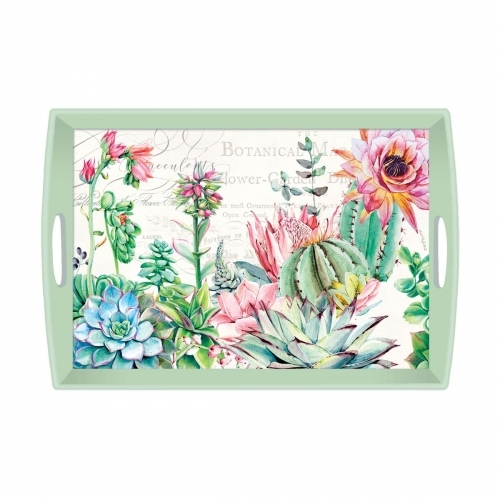 Our wooden trays capture the timeless beauty of well-loved objects. Each piece is hand made, with a decoupaged top and sides, antiqued edges, and non-slip rubber feet. Collectible and practical - the perfect hostess gift! Size: 20" x 13.75" x 2.75"